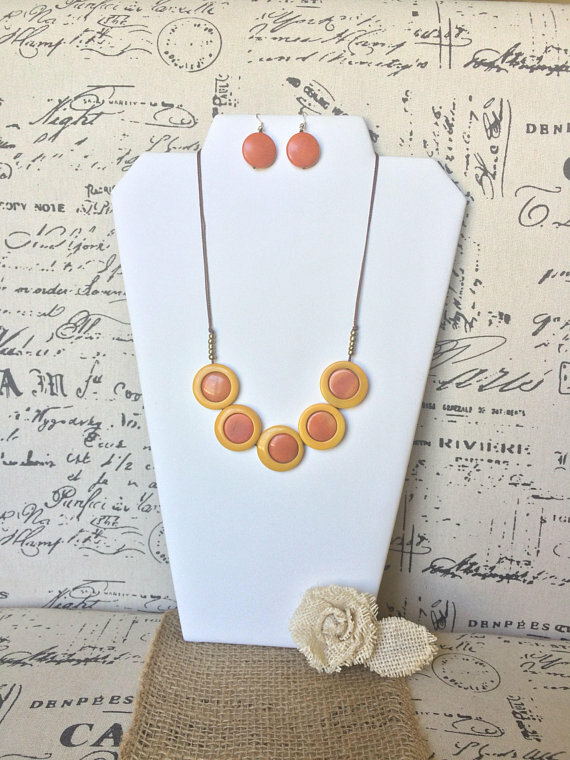 This beautiful beaded necklace with dangle earrings, will be a great addition to your handmade jewelry collection. 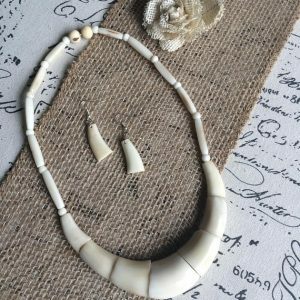 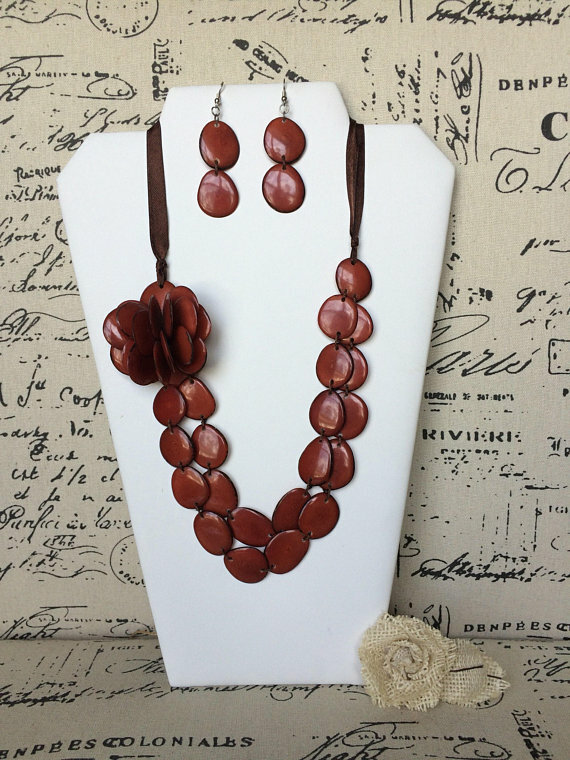 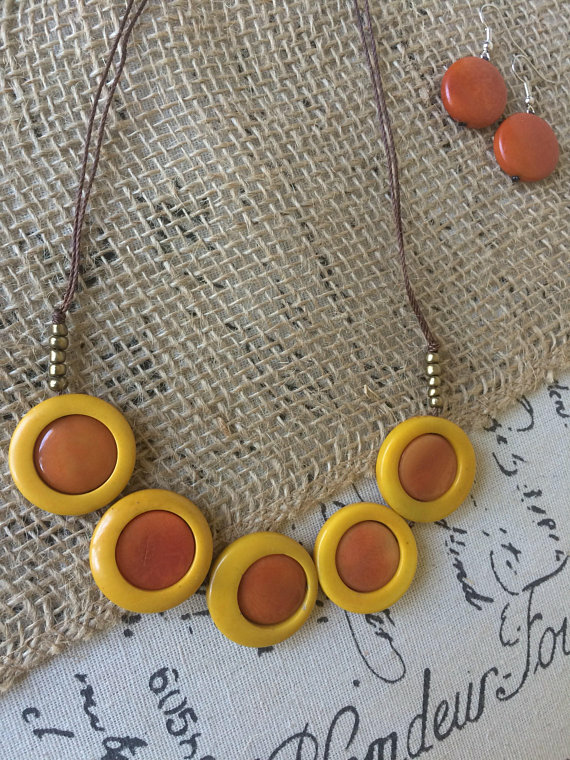 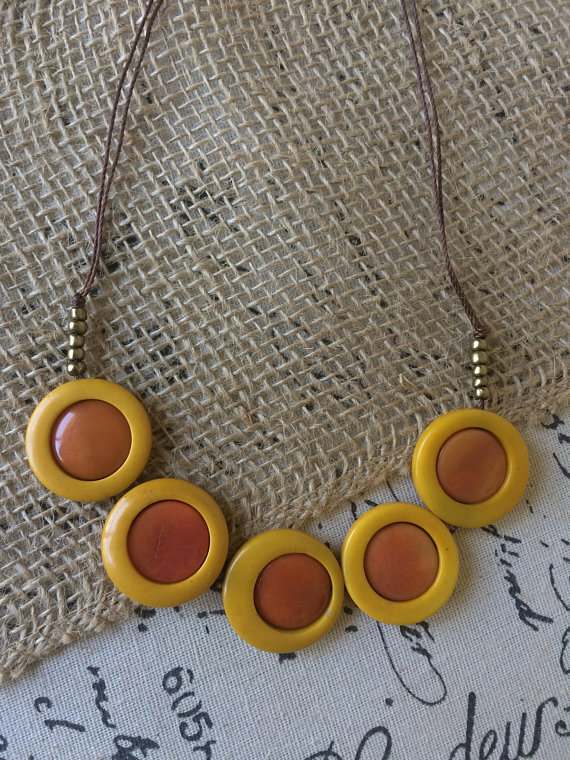 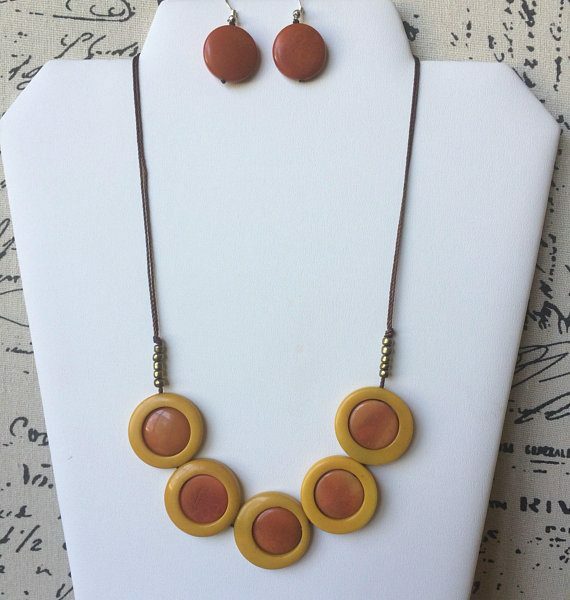 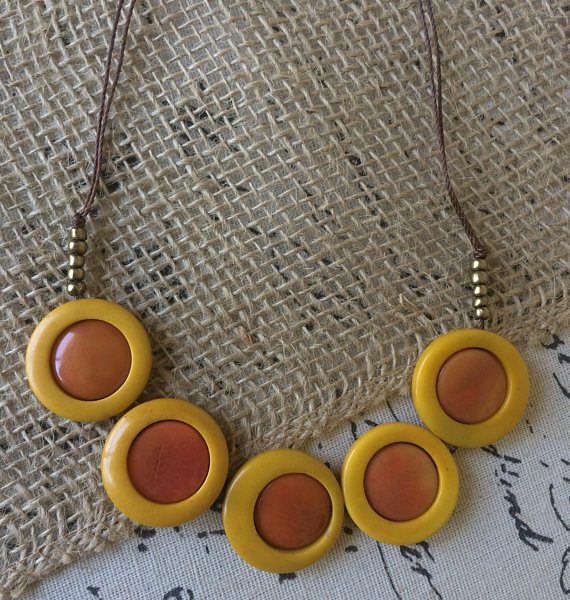 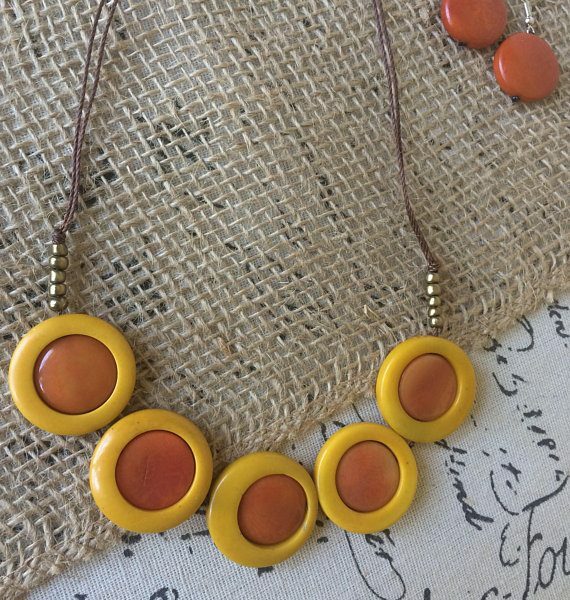 Made with Organic Tagua from Ecuador, where it has been manually carved, dyed with natural ingredients only and then polish to create this gorgeous piece. 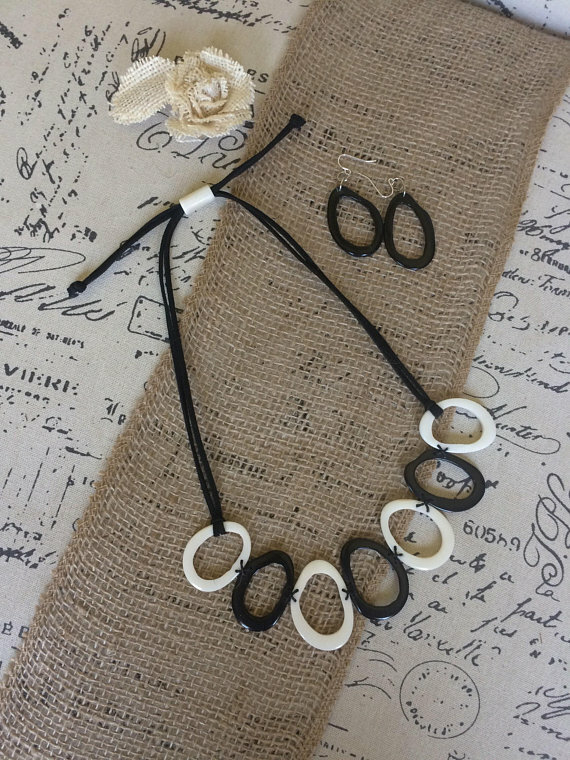 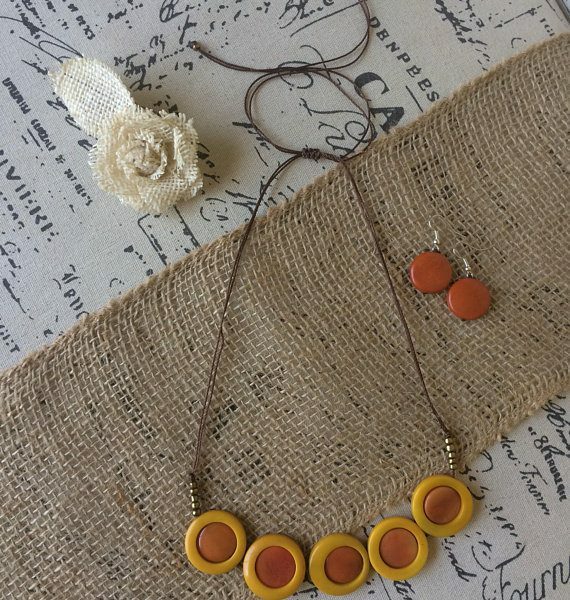 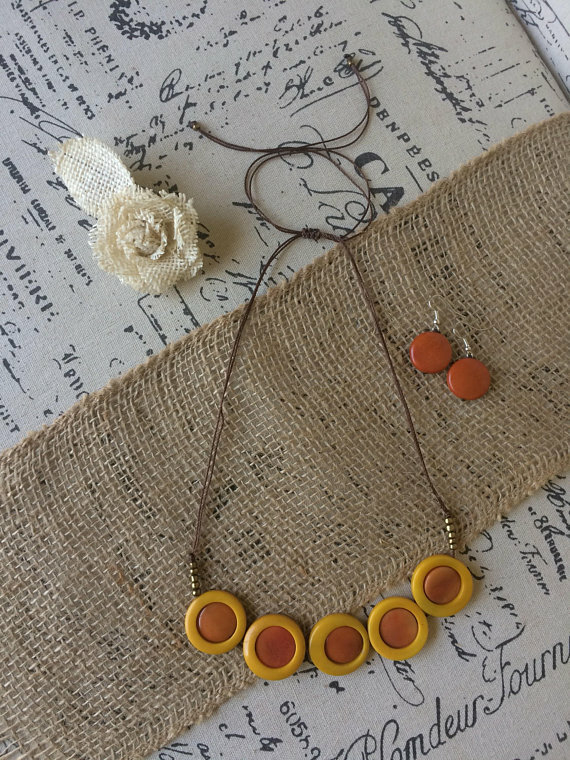 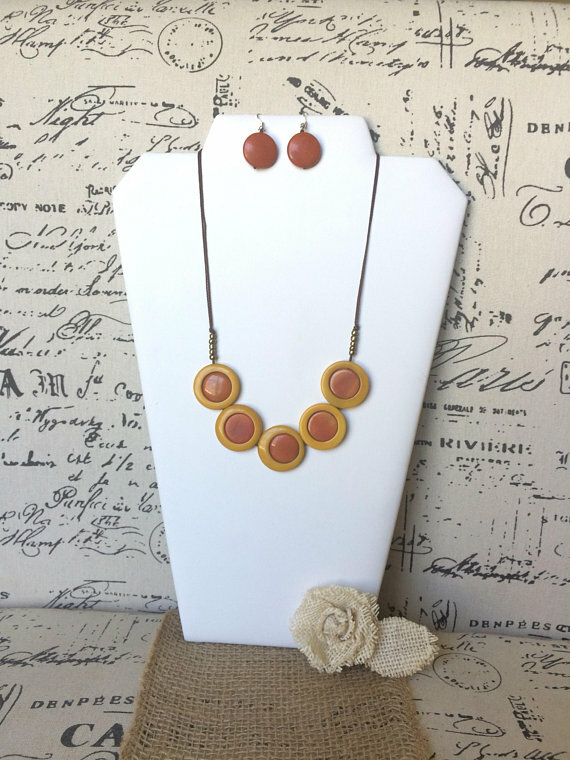 This set is versatile and will add an splash of color to any outfit, the necklace is adjustable with waxed cotton cord, it goes up to 24 inches long approximately. 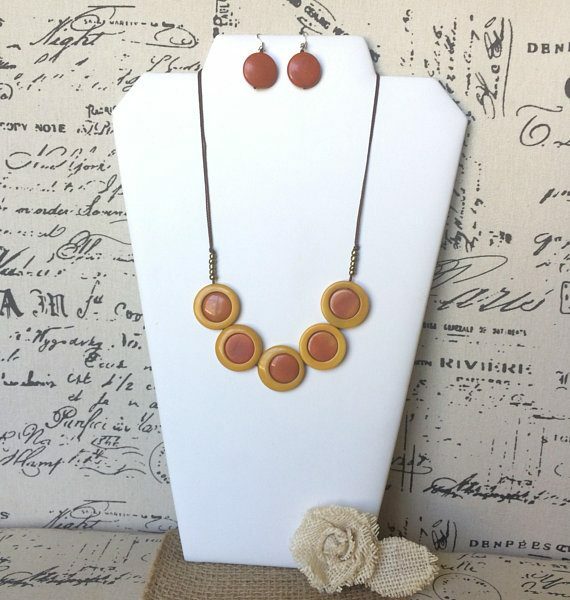 The round dangle earrings are appoximately 1 1/4 inches long (3 cm). 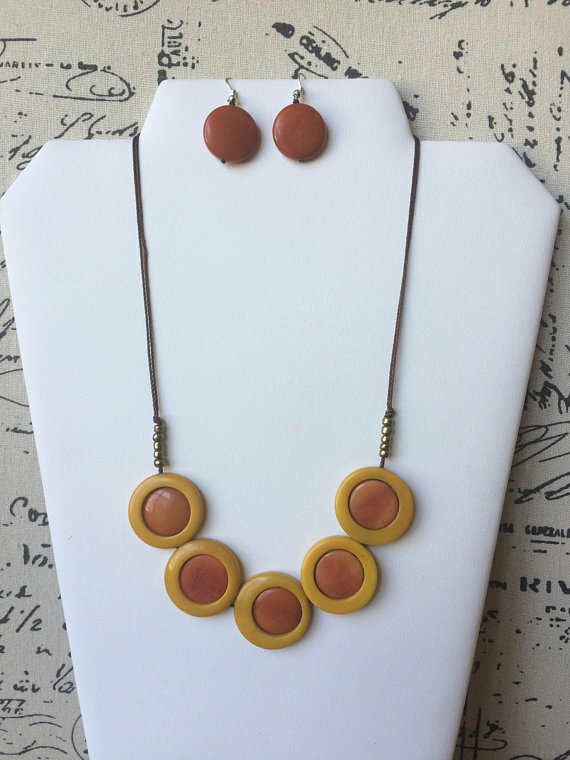 Because of the handcrafted nature of this set, the dyed pieces might slightly vary in shades of color.